Time magazine: Article promotes astrology. It really is that simple. 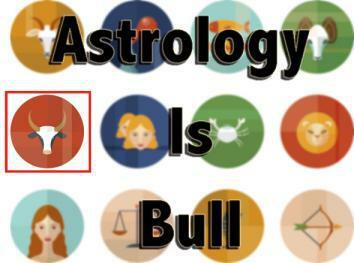 I need not go into detail here; I’ve already said what I have to say showing exactly why astrology is wrong; astrologers fail to show there’s any evidence that astrology works even when the tests were devised by astrologers themselves! Astrology has no predictive power, no physical cause to believe it has predictive power, and is entirely explained by psychological effects like confirmation bias (remembering predictions that were right and forgetting the ones that were wrong) and the Forer effect (thinking vague, general predictions apply to you specifically). Yet astrology still gets far, far more attention than it deserves. Just yesterday, I was appalled to find out that Time magazine posted a credulous puff-piece interview with an astrologer. Just as bad, it was focused on the astrology of the lunar eclipse on Oct. 8. That’s really galling to me. To take a beautiful and wondrous astronomical event and hang this sort of pseudoscience on it is like spray-painting the wall of the Grand Canyon. It’s defacement. First, lunar eclipses are worldwide events; everybody on the side of the Earth facing the Moon could see it. How could this astrological attribute possibly apply to every single person? Second, note how vague the statement is. The beauty of it (if you’re an astrologer) is that, ironically, anyone who had anything come to a close in their life—from breaking up with a lover to finishing watching a TV series—could apply it to what they experienced. A prediction that general has no real power of prediction at all. It goes on and on like that. The worst part is there is no hint of skepticism, no actual investigating, that might show that astrology is nonsense. The story here isn’t that astrology is wrong, it’s that Time magazine would give it any sort of support at all. Why? Mercury is in retrograde between October 4 and 25—and that period of cosmic slowing, when the planet appears to be traveling backwards, is notorious for misunderstandings and technological failings. Sigh. Mercury in retrograde affecting electronics is another slice of astrological folderol. Look. As I’ve said many times before, it’s not that astrology, as a specific flavor of anti-science, is doing direct damage to anyone—except for separating people from their money. The real problem is that, like all manners of nonsense, it erodes away our ability to separate what’s real and what isn’t. Today, more than ever before in human history, that ability is crucial for our survival. We have concerted, well-organized, and heavily funded efforts underway to demolish that ability, from global warming deniers to anti-vaxxers to politicians who want to control your body and your wallet. They don’t need the help, especially not from major media outlets like Time magazine. Tip o’ the Ouija board to Mark Wilkins.